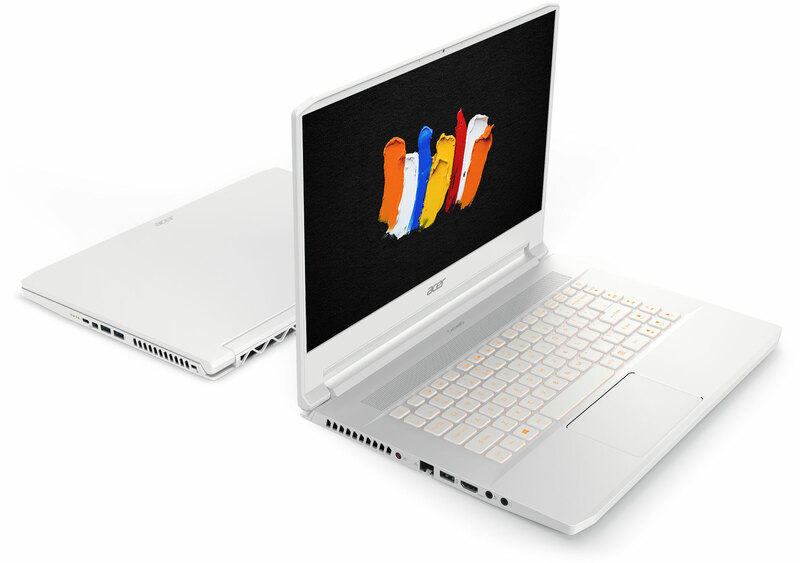 Acer this week introduced its new ConceptD brand that will be used to market computers and other equipment designed primarily for content creators and engineers. The initial family of products includes high-end desktop and mobile workstations, professional displays, and an AR/VR headset. and a Windows Mixed Reality headset. All the new ConceptD products take a lot of pages from the Acer Predator book when it comes to things like cooling, internal architecture, ergonomics, and so on. In the meantime, since these are workstations aimed primarily at architects, animators, graphics designers, engineers, film makers, product designers, visual effects specialists, and so on, stability and reliability are the cornerstones of these PCs. Note: We are going to cover Acer’s flagship ConceptD offerings in more detail in the coming days. The portfolio of desktop ConceptD machines includes the ConceptD 500 based on Intel Core i9-9900K with up to 64 GB of DDR4 as well as the Concept D 900 workstation powered by two Intel Xeon Gold 6148 processors with up to 192 GB of DDR4. It is quite surprising to see anyone trying to enter the market of dual-processor workstations, which is lucrative, but rather small these days, but this is exactly what Acer is doing. 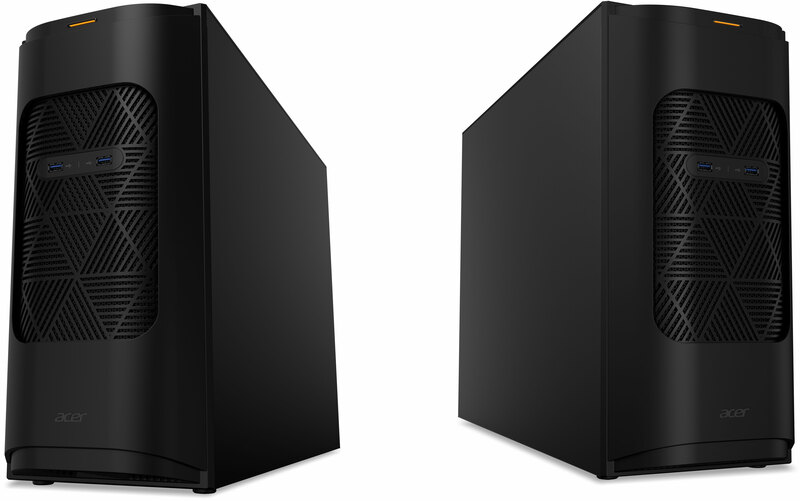 Both PCs use NVIDIA’s Quadro RTX 4000 or Quadro RTX 6000 professional graphics cards and offer features and expandability that one comes to expect from workstations aimed at content creators and engineers. The Quadro RTX graphics cards have been certified by leading developers of professional applications, so the new machines are ready to go out-of-box. The lineup of ConceptD mobile workstations includes three machines. Apart from performance, the key feature of Acer’s mobile workstations is color accuracy of their IPS displays featuring a 3840×2160 resolution. All of the screens are Pantone Validated and factory-calibrated for the Adobe RGB color gamut. 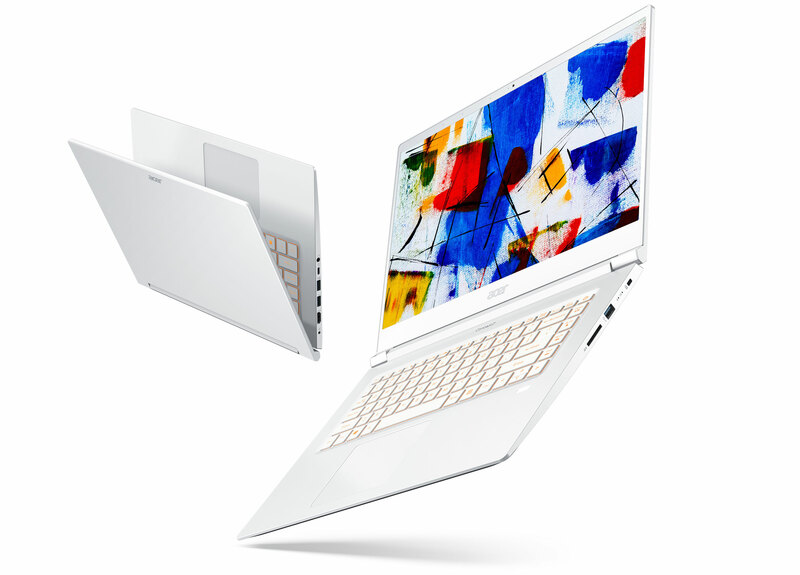 The 15.6-inch ConceptD 5 based on Intel’s Core i7 ‘Kaby Lake-G’ CPU with AMD’s Radeon RX Vega M GL graphics is the thinnest and lightest in the family targeted at those who work on the go. Given the positioning, this PC is outfitted with a Windows Hello-certified fingerprint reader, and a TPM module. The 15.6-inch ConceptD 7 is powered by Intel’s 9th Gen Core i7 CPU accompanied by NVIDIA’s Quadro RTX 2080 GPU in Max-Q configuration, thus, offering a balance between performance, power consumption, and portability (the laptop weighs 2.1 kilograms). Acer’s top-of-the-range mobile workstation is the 17.3-inch convertible ConceptD 9 also runs Intel’s 9th Gen Core i9 (something tells me we are dealing with a six-core or an eight-core variant) and NVIDIA’s GeForce RTX 2080, but the latter comes without Max-Q limitations, but at the cost of additional weight and a bulky chassis. The ConceptD monitor family currently includes two displays of today’s most popular sizes: the 27-inch CP7271K and the 32-inch CM7321K. Both LCDs are Pantone Validated and ship factory calibrated with color accuracy of Delta E <1. Besides, both carry VESA’s DisplayHDR 1000 badge, thus offering a peak brightness of 1000 nits and supporting at least one HDR transport. The smaller 27-inch CP7271K is a 4K display featuring a 144 Hz refresh rate along with NVIDIA’s G-Sync Ultimate technology. Essentially, this is one of the world’s first professional monitor featuring a 144 Hz refresh rate and therefore suitable for creation of appropriate content. The bigger 32-inch CM7321K is a 4K LCD that uses a Mini LED-based FALD backlighting with 1152 local dimming zones and thus delivering an ultimate contrast ratio. Being aimed primarily at DCC specialists, the monitor covers 89.5% of the Rec.2020 color space. 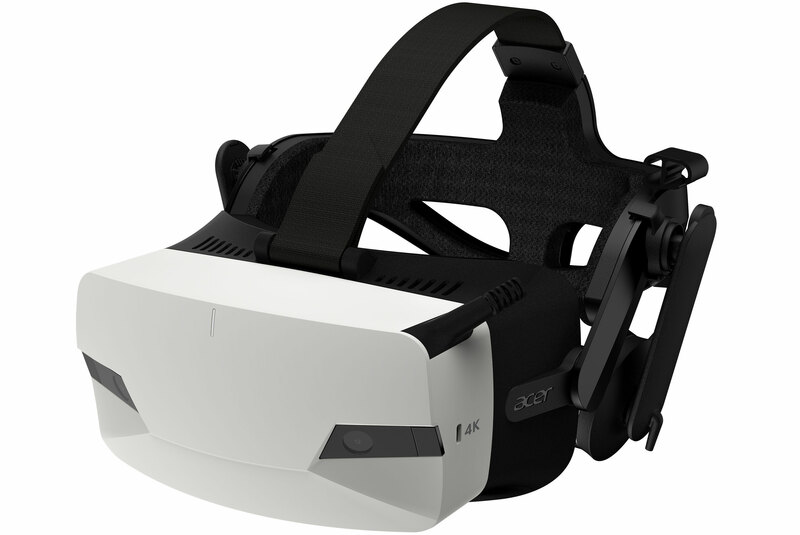 The Acer ConceptD Ojo Windows Mixed Reality is a yet another 4K head mounted display aimed primarily at professionals. The HMD is equipped with two 2.89-inch screens featuring a 2160×2160 resolution per eye (4320×2160 combined resolution), a 0 Hz refresh rate, and an unknown field of view. The AR/VR headset features integrated inside-out 6-degree-of-freedom (6DoF) positional tracking and therefore does not require any external sensors. Besides, it also has its own audio headset, and two front-facing cameras to enable augmented reality applications. The device will ship with Acer’s motion controllers that the company yet has to describe in detail. 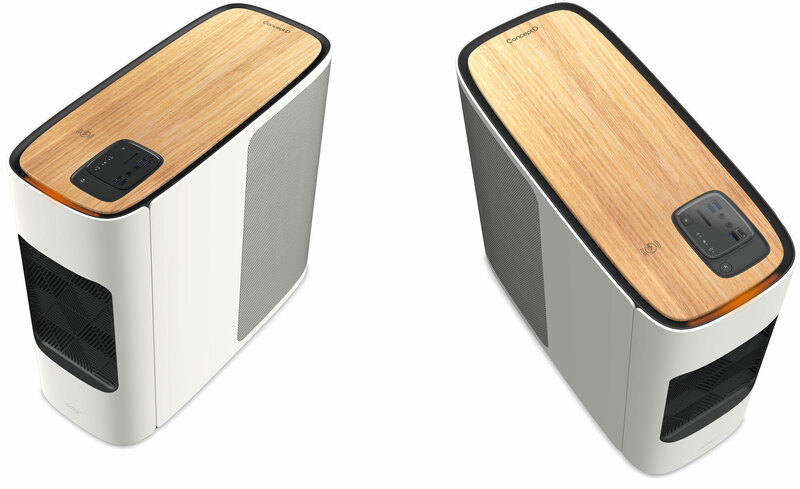 Here is a quick summary of Acer’s ConceptD products announced this week that will ship in the coming months. Note that we are going to cover the flagship offerings in more detail a bit later. With five workstations, two professional displays, and a headset announced this week, it is clear that Acer is serious about (re-)entering this market. The company stated at the presentation that more ConceptID products are to come in the future. Considering the fact that Acer dared to enter a very niche market of dual-processor workstations dominated by Dell, HP, and Lenovo, it is highly likely that the company will try to address other niche markets as well.